? If you want to buy this product, please send us a copy of your identity card.
? The sale of this product is legally restricted (German Chemical Prohibition Regulation). Please send us the required documents together with your order. You can find the form here or in the Info/Download section.
? This product has to be send by a shipping company. We will gladly submit you a quote. H260: In contact with water releases flammable gases which may ignite spontaneously. H311: Toxic in contact with skin. P402+P404: Store in a closed container in a dry place. 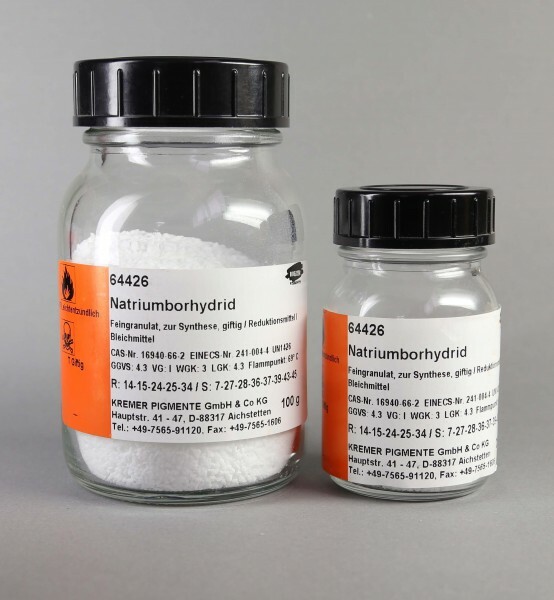 Customer evaluation for "Sodium Borohydride"